It’s early on October 24, 2018. Very early; much earlier than I normally do judo, by like 13 hours. I’m in a cab, well more like a tiny circus car that can fit two tiny people, and I’m with Sensei Manoj headed to the outskirts of Katmandu to an orphanage where he introduced judo. It’s not far from my hotel, but given the traffic and road conditions it takes us more than 35 minutes to go a couple of miles. 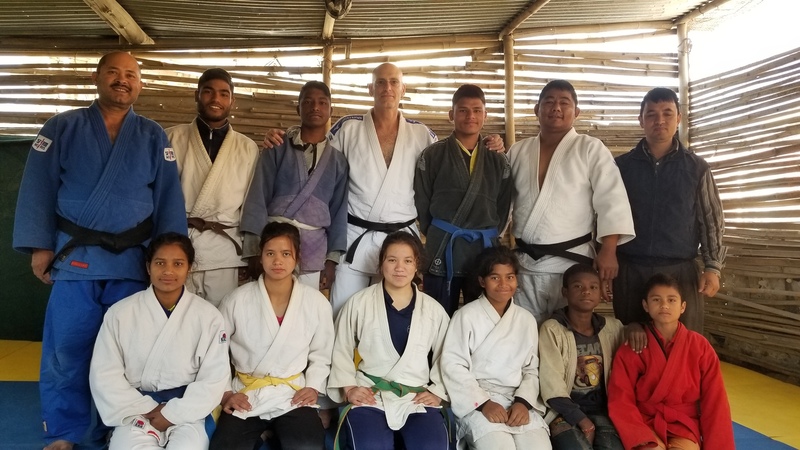 A far cry from the hustle and bustle of downtown Kathmandu, nestled in the hills of a neighboring town called Nakhu is the HOPAD Judo Club. 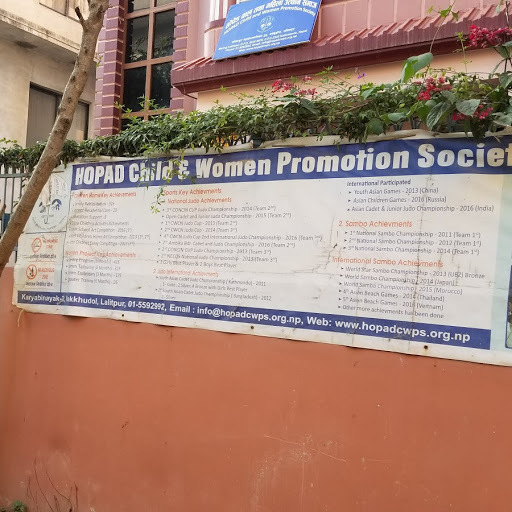 Its players (boys and girls aged 8- 17 years old) are all orphans living at the HOPAD Child and Women’s Promotion Society (a non-profit www.hopadcwps.org.np – donate of you can) just down the dirt road from the dojo. 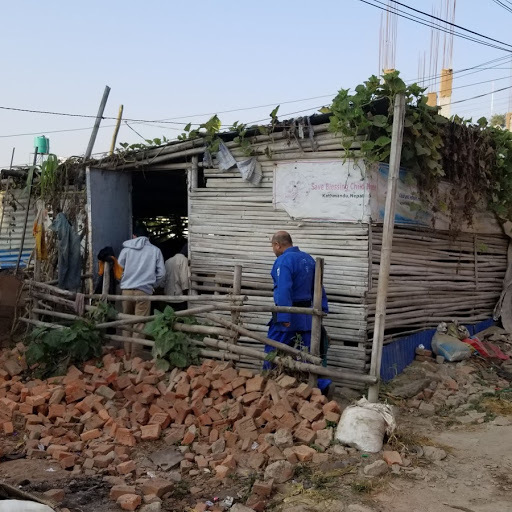 The kids all live and study at the orphanage and a visit to their rooms proved that they are just like any other kids with posters of Messi, Ronaldo and Teddy Reiner. I didn’t expect Reiner, which proves the influence that judo is having on their lives. Sensei Manoj brought judo to HOPAD. Without him there would be no HOPAD Judo Club. Oss. We drove right past the dojo on our way to HOPAD. If you didn’t know, you would never know it existed. I didn’t. The dojo is also a carefully balanced structure of corrugated metal sheets and bamboo, like playing cards balanced together. It doesn’t have a door nor electricity, but they do have tatami. 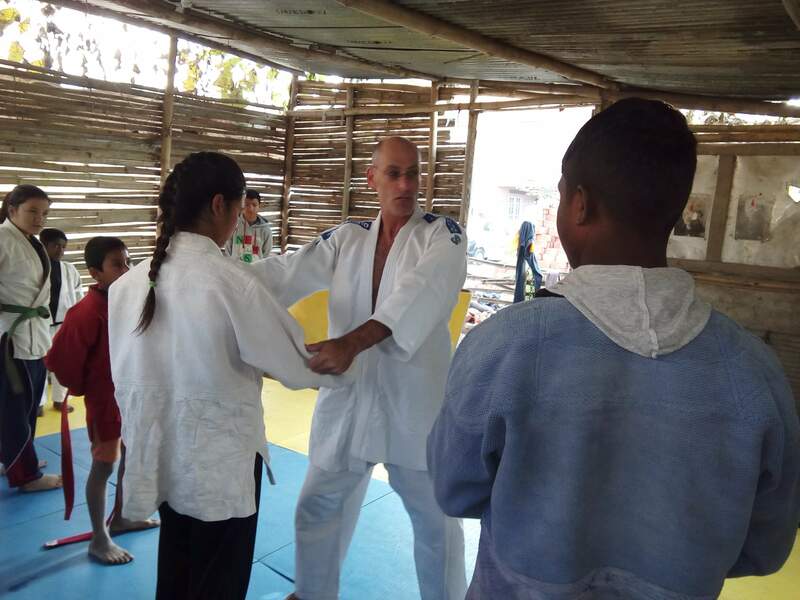 And a group of spirited players eager to learn and play judo. I am the first American judoka to visit this club, and I hope not the last. I’m just a simple guy who came to Kathmandu for work and wanted to do some judo. I was treated as family by complete strangers and the kids from HOPAD want to be Facebook friends with me now. I accept. This was my first judo practice in Nepal. And at almost 5,000’ I winded myself with my own warm-up. Made me laugh and think of Sensei Kurt who tries to coach me to make my warm-ups less strenuous. Two days before heading to the HOPAD club, Sensei Manoj came to meet me at my office. I thought we’d just say hello and chat judo for a bit. A bit lasted for more than one and a half hours. Apparently, he came way out of his way to meet me and brought a Khata (ironic, but pronounced Khaadaa) for me. The Khata is a traditional ceremonial scarf in Buddhism symbolizing purity (of the giver) and compassion and presented at special occasions, like the arrival of an honored guest. He said a blessing for my arrival, we drank tea and made plans to visit HOPAD JC. It was a very special moment; something I was not expecting and will not forget. 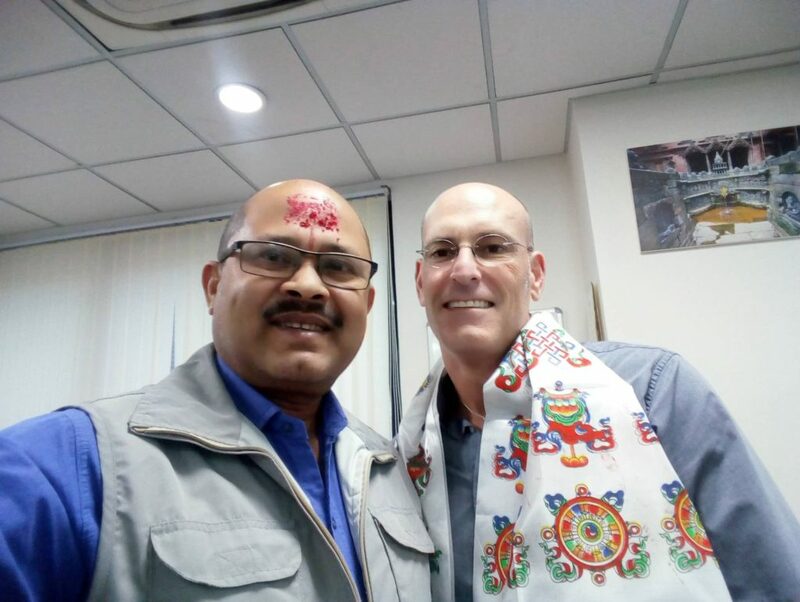 My staff saw what was going on in my office and when Sensei Manoj left they all came to ask what was going on because the receipt of a Khata is a very big deal in Nepal not presented without reason. 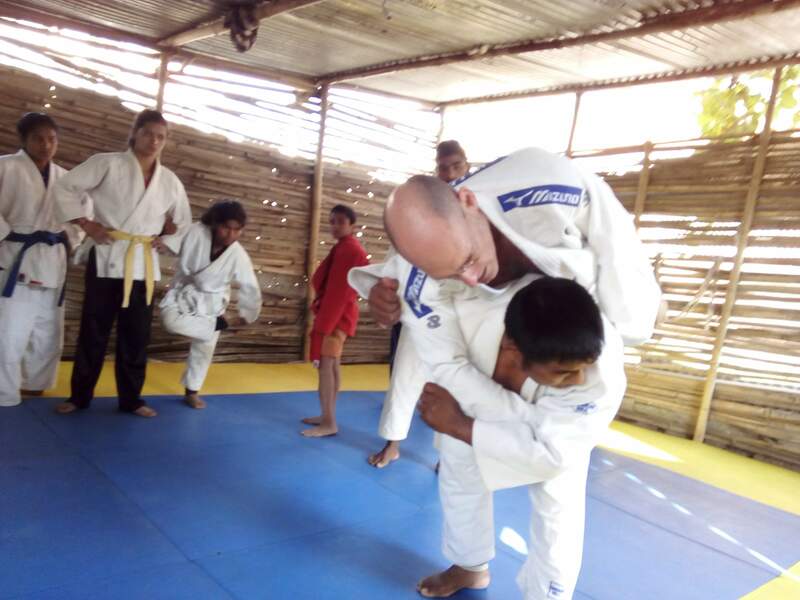 They only know me as their [work] boss and not as a judoka; let alone an international competitor and apparently respected by the national leaders of Nepal judo. I didn’t realize it until they explained it to me and I was even more humbled by the experience. 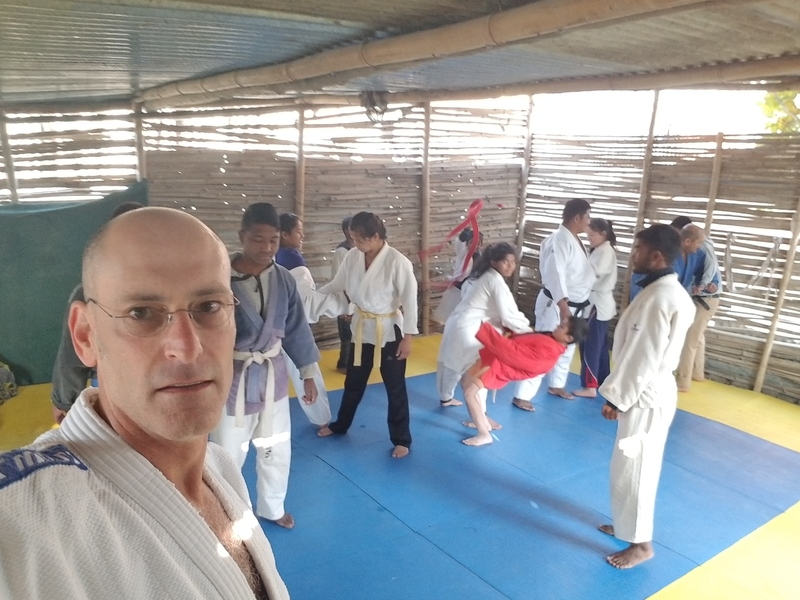 With a few Facebook pings and an introduction by Sensei Eric Spears I was welcomed as a friend and brother by Nepal judo. For that I am eternally grateful. I have made new friends in Nepal, helped train two of Nepal’s 2020 Olympic hopefuls and in a very very short time made friends for life. Countries build walls and judo tears them down. I can’t wait to come back. 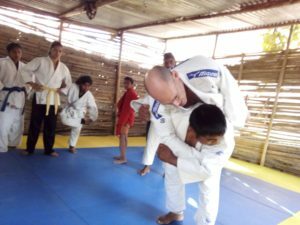 Dhan’yavada Sensei Manoj and Nepal Judo for a truly inspirational and humbling experience. 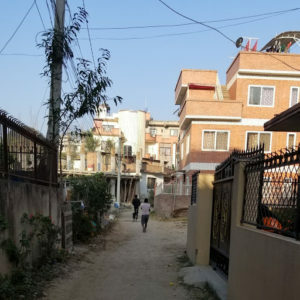 By Sensei Wayne Lifshitz, in Kathmandu, Nepal. Special thanks again to Sensei Binod Raj Sainju of College Park Judo Club who put me in touch with Sensei Manoj.